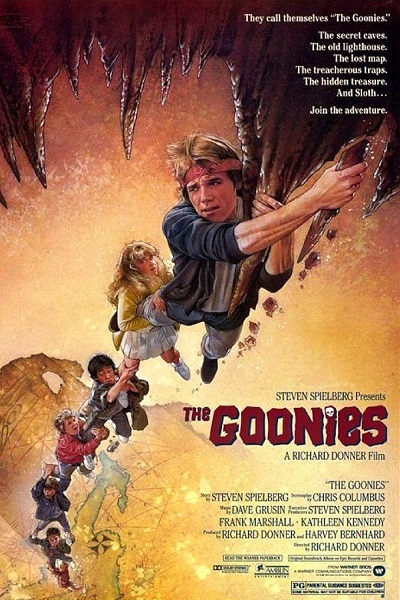 The Goonies is a much beloved children’s film, directed by Richard Donner and created by Steven Spielberg, it has accrued a fairly significant cult following. This film is so popular that its been referenced in pretty much all levels of popular culture with references to it in Family Guy and Yugioh! The Abridged Series. Having never seen the film myself, I was very interested in having a look at the film with In the House. After moseying on down to George St cinemas, I was greeted with the traditional In the House pre-film shenanigans. Hosted by Jason ‘Jabba’ Davis and David ‘Quinny’ Quinn (the latter via pre-recorded message), the audience were treated to various bits of interesting film trivia and a ‘truffle shuffle’ competition. It was a pleasant appetiser before we got to the main course of the evening; the film. 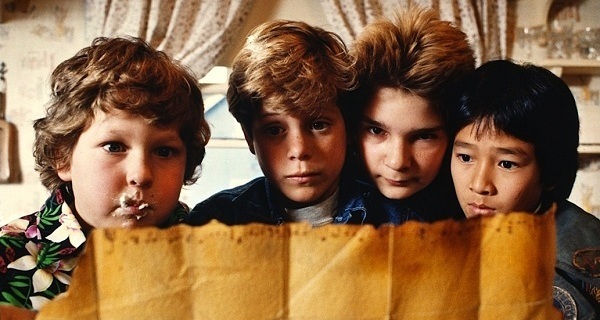 The narrative centres around the adventure of the eponymous ‘Goonies’, a group of kids living in the Goon Docks area of Astoria. 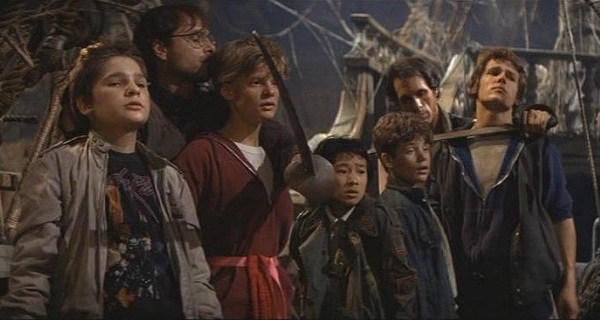 The group includes everyman Mikey Walsh (Sean Astin), his older brother Brand (Josh Brolin), nerdy gadget guy ‘Data’ (Ke Huy Quan), wise-cracking ‘Mouth’ (Corey Feldman), and the hilarious/obnoxious ‘Chunk’ (Jeff Cohen). Facing displacement due to the foreclosure of their homes by an expanding country club, the friends decide to follow an old pirate treasure map in the hopes that they’ll find the hidden gold and save their homes. Along the way, they have to deal with dangers of the murderous Fratelli crime family and the deadly traps of the pirate treasure trove. The film’s narrative gets into its stride after the first twenty minutes or so when the kids set off on their grand adventure. 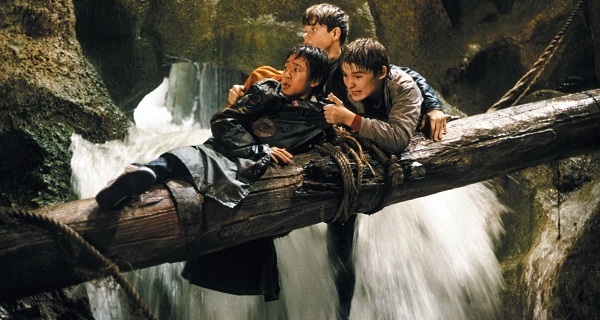 The first act is quite slow and ponderous in setting up the various characters alongside the motivation of the goonies to save their homes. Luckily, things pick up once they actually embark on their quest in the second act and climaxes nicely in the third act. Compared to the latter half, the film’s first act is quite dull but it’s understandable that the film wanted to get some context into the adventure. All of the characters are painted in fairly broad strokes with little depth to their character beyond their assigned trait. The one note they play, whether it’s the smart inventor or the smart alek is presented to us from the first moment they’re given screen time. Normally, this lack of depth would be a drawback to a movie but I feel that these one-dimensional characters helped to streamline. By taking focus away from the characters, we end up focusing more on the action and I believe this plays to the film’s favour. We aren’t worried about character arcs or complex motivations and I guess you don’t really need to in what is ostensibly a children’s adventure film. What surprised me most about this film was how it doesn’t molly coddle its intended audience. For a children’s movie, there is certainly a lot of death and quite terrifying danger which the characters are confronted with. I’m not sure whether children’s programming nowadays is allowed to show corpses and half-rotted skeletons but evidently there were no such restrictions in the 80s with the film’s extensive cast of post-mortem characters. The sense of physical threat is also quite pronounced in this film as one the child characters is threatened with getting their hand blended. Basically, if you have child who is very easily upset (or you want to shelter from such things) then I wouldn’t recommend bringing them to see this film. The child characters also swear quite clearly and there are a number of innuendos hidden throughout the script, but if your child is alright with death then they’ll probably be fine with some naughty words here and there. With that in mind, the Fratellis play an interesting part as the antagonists in this film. From the outset, they are shown as equal parts clumsy and clever with a mean streak a mile wide. 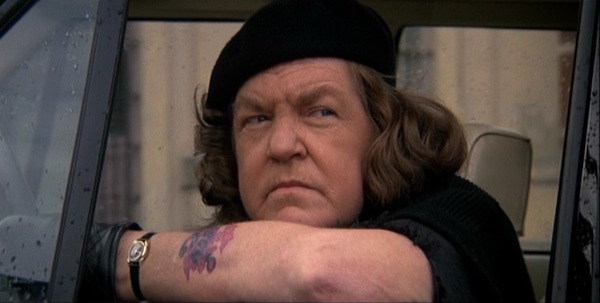 In particular I loved the performance by Anne Ramsey as Agatha ‘Mama’ Fratelli, the matriarch and terrible mother of the Fratelli family. The three Fratelli brothers are also with Jake (Robert Davi) and Francis (Joe Pantoliano) showing a reasonable turn as slapstick villains. 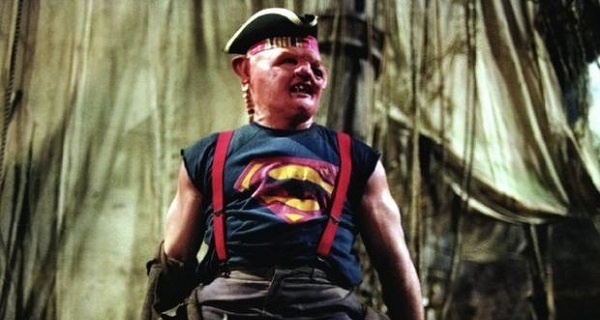 Sloth (John Matuszak) does a great turn in presenting the audience with one of the film’s most complex characters who is notionally a villain but ultimately becomes the film’s hero. There might be some concerns about this portrayal of a differently-abled person as a monster (at least at first), but I would argue that since the film does portray them with some degree of nuance and the protagonists’ opinion of them does change that the film does avoid straying into ableistic territory. I, of course, invite people who know more about disability activism and media portrayal to please comment/correct/elaborate on their opinion on this aspect of the film. The direction of the film throughout is typically adept with the cuts giving us a coherent sense of space throughout the action. The visual design of the sets is par excellence with the actors moving around, playing with, and reacting to the environment that they’re supposed to be in. I do have a bias for physical sets when it comes film making as it helps to give a sense of location to both audience and performer. The underground cove of the pirate ship is quite a sight and the ship itself is a fun space that a can spark the imagination of a child. The orchestral soundtrack, composed and conducted by Dave Grusin, complements the film. Its composition is reminiscent of other adventure movies you might recognise such as the Indiana Jones series. There are plenty of fast-paced strings which help reinforce a sense of urgency. The music keeps up with tone of the action but ultimately didn’t leave to much of an impression on me when the film was over. It was immediately easy to see why this film appealed to kids back when it was released and appeals to adults now that it’s nostalgic. The story is simple but effective for framing the adventure, with the exception being the slow pace of the first act. The characters are simple and one-dimensional but saving time on character development helps keep the focus on the action. The sets and direction are great with a solid complement by the soundtrack. It’s was a pleasure to see a film which was undoubtedly a part of so many people’s childhood up on the big screen. It’s the not the best movie of its kind I’ve ever seen, but it’s still pretty darn good. 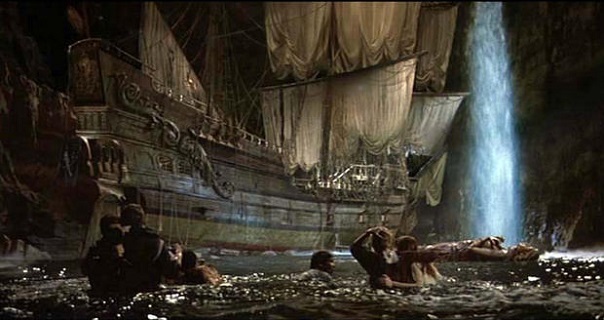 I commend In the House for bringing this back to a cinema and giving us the chance to experience the wonder and excitement of hunting for pirate treasure with friends once more!